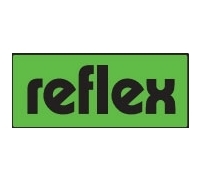 Our range of Reflex expansion vessels work perfectly in heating or cooling systems. Made from Carbon Steel, our expansion vessels are manufactured to meet the requirements of PED 97/23/EC Directive and BS EN 13831:2007. Available in sizes 50 - 1000 litres, we can supply these vessels on a 2-3 day economy service or on a next day service for a small charge.